12 Oct 2018 --- Planned intermittent fasting may help to reverse Type 2 diabetes, suggest doctors writing in the journal BMJ Case Reports. Their suggestion comes after three patients in their care were able to cut out the need for insulin treatment altogether following an intermittent fasting strategy. Two of the men were able to stop taking all their other diabetic drugs, while the third discontinued three out of the four drugs he was taking. 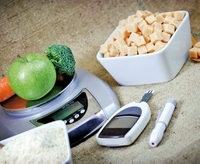 They all lost weight (by 10-18 percent) as well as reducing their fasting and average blood glucose readings, which may help lower the risk of future complications, say the authors. This is an observational study, and refers to just 3 cases-all in men. As such, it isn't possible to draw firm conclusions about the wider success or otherwise of this approach for treating Type 2 diabetes.